Some cars take time to squeeze their way into your affections. Others are pretty much perfect the first time around, with appeal that endures for many years. The original Toyota RAV4 EV is just such a car, for electric car fans. Toyota's useful small SUV with an electric drivetrain has been the perfect car for many drivers for over a decade, and used examples go for big bucks on eBay. 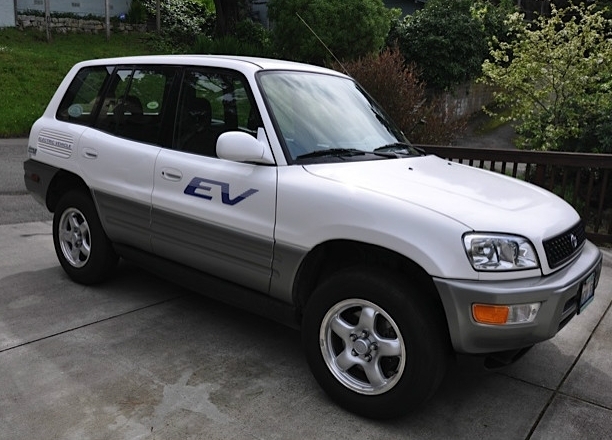 In fact, there's a 2002 Toyota RAV4 EV up on eBay right now--the proceeds of which will support EV advocacy group Plug In America. The RAV4 was actually donated to Plug In America, along with a charger. It wears its 74,395 miles well, though it does bear the inevitable dings and dents of a decade on the road. Prospective purchasers will be glad to hear that the battery pack was reconditioned only two years ago by Toyota's authorized service group, Battery MD, at a cost of $6,500. All maintenance has been carried out by Toyota, with records to prove it. It's sure to drive as well as the example we tried a few years back too. It's not the quickest of vehicles--0-60 mph takes 18 seconds, and top speed is 78 mph--but it matches the range of modern electric vehicles, with 80 miles possible at highway speeds and 100 in the city. You can find full details on the car--and indeed, bid on the vehicle--on the eBay listing. You've got until April 21 to bid on the RAV4. 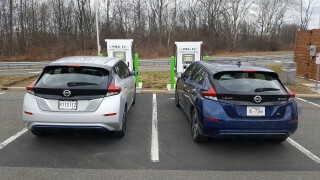 Not only will you be helping the cause of Plug In America, but you'll have one of the most enduring--and endearing--electric cars on the roads.